Double the Population of the United States is Without Power in India. Get Ready! Home SHTF 670 Million Without Power in India – GET READY. That’s double the population of the United States without power. Here’s what happens when the grid fails. A lot of this is based on what happened directly after Hurricane Katrina devastated New Orleans, and the human reaction to the situation. What to expect when the grid has been down 7 days. Day 1-3 – Supermarkets only stock enough food and water to last about 3 days for their immediate surrounding areas. What supermarkets will even be open? 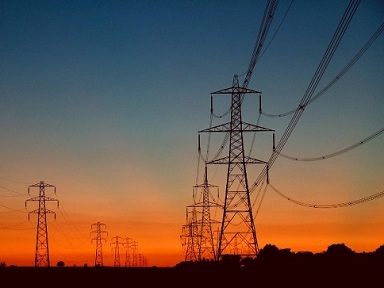 People are not panicking yet – they believe the power will be on soon. Day 3-5 – People start to run out of food and water in their homes. Day 5-7 – Crime rates skyrocket. People begin leaving their homes in search of food and water at any cost. Will you survive a grid down situation? What to expect when the grid has been down for 7-14 days. 14 days after Katrina devastated New Orleans, the area was called an urban warzone. Snipers were shooting at food and relief aid, bodies were laying in the street, and people were being raped, beaten, and murdered all over New Orleans. A lot of times, it was random acts of violent. When left unchecked by law, order, and consequences, the human heart will prove the depths of its true depravity. Do not underestimate this. Humans are capable of every horror you could imagine. Day 7-11 – Gangs start to randomly emerge. Gangs arm themselves with whatever they can find, including your firearms, and begin roaming in search of food and water. Get in their way, and you’ll be killed – and your family likely raped. Day 11-14 – Police officers begin to turn in their badges. Some even participate in looting, but some head home to defend their own families and attempt to survive. People begin to realize that no help will be coming. When SHTF, the true human heart emerges – violent, sinful, hateful, lustful, deprived, and hungry. What to expect when the grid has been down for 14-30 days. People are now starting to understand that the power may be out for a long, long time. Preppers with solar panels, generators, food, and water will begin to be targeted. If you’re prepping for a grid down scenario, its a good idea not to let a whole lot of people know. A mass exodus from the cities towards rural areas will begin. People will be looking for farmland, livestock, and other food resources. If you live far from highways, great! If not, prepare now to defend off large amounts of people. You may be tempted to feel more relaxed and slip into a routine. Don’t let your guard down – security will be your most valuable investment. People will leave cities by the millions looking for ways to survive. Do you live near major highways? What to expect when the grid has been down for 1 to 3 months. Humanity will naturally begin to form groups and chains of leadership. Some groups will be acting out of moral values, but most will be acting with no conscience or moral rules. Assume everyone is a threat. There is not a lot of data that will help anticipate what happens next. Leave your comments below with your thoughts. Great article, very realistic, there is no greater danger than despiration. You know, this sounds quite useful in the event of a zombie apocalypse as well. There’s a basic instinct in the human mind for survival, sometimes it even works at the cost of others. I’m from Québec, Canada. In 1998, I’ve lived throught the Great Quebec Icestorm that hit Southern Québec and Upstate New York. At some places, there was a 100 mm thick ice layer, that put down the grid system for a month a least until they rebuilt it with wood pillars instead of steel. Our home didn’t have electricity for a month and unfortunately, we relied on it for heating. We only had a decorative fireplace but the hot air couldn’t be pushed inside because the fan needed electricity. We had to put the food outside because the freezer wasn’t working and close all water plumbing because it would explode if it froze. I remember passing days listening to the radio and watching the fire. The only stuff you could find at the convenient store was 5 $ candles and Pop Tarts. When we realized we couldn’t stay in our home, my family went to live in a shelter and I decide to stay with a friend whose parents had a wood stove. While there, my father helped people get out of their home ( old people froze to death ). Once I wanted to use a camp stove inside my best friends appartment. His mother told me that on the radio they said it was dangerous. She was right, a lot of people died because of that. When the current came back, being able to take a hot shower, watch TV, it felt surreal. From my experience, I believe that your scenarios could take longer to happen. We saw civil society react really well, neighbors helping each other, my parents organized the shelter’s kitchen. Other parts of Canada and even the US sent help ex. food, wood, electricians, etc. The crime rate didn’t explode only some fights in shelters between families and generators/wood theft. We are used to rely on our welfare government. In Canada, I think the cold weather made the people used to cooperate. That spirit, though absent while technology is here, resurfaced rapidly in these events. It would have been hard for someone surviving alone. Also, the fertility rate exploded because well, people had nothing to do ! I believe that if a large part of North America had it at the same time, it would have been largely different. The aid would have come from elsewhere around the world for example but it would have taken more time and I think that american gun nuts migrating here would have been catastropich too ! Sometimes being peaceful have negative aspects ! Preppers here have first hand experience for the better! 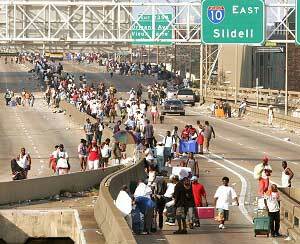 In south central Ms., an hour from Gulf what happened here with Katrina was overshadowed by New Orleans. With a 70 mile wide Grid decimation, we were only 2 weeks off grid. The following day store shelves were empty by 5 pm. No gas, no phone, we had to survive with what we had! Bad: a line of people 500 yards waiting in August sun to buy 12 items at Sam’s…spooky site! Worst: Man bought last generator at large chain was followed home shot in the head dead for a generator. We were prepared from Y2K prep, so my daughters no longer laughed at our 300 gallons of very precious Stabil gas which worked fine! Police/ambulance/fire couldn’t get to 90% of people because of trees, power poles down. Many died from natural causes for this reason, can’t say how many. One can’t truly imagine total grid down, no light at night, it is a very creepy blackout. Taking shifts at night around your own home of 25 yrs, in pitch black darkness is truly an erie experience. We did discharge our weapons on 2 occasions at night to ward off those who neglected verbal/mastiff warnings. It took a week for the National Gaurd to get here in force, and things calmed very fast as MRE’s. water, ice came in with them. People did start to pull together as it is in the south, as best they could. It left us appreciating what we have, moreover the REAL experience of no lawenforcement protection, no 911, grid totally down, lootings, a few shootings & survival on our own. So many people have shared their experiences, and the word prepper has a deep meaning in our hearts! God Bless America, we’re gonna need it! Accurate description of WROL. I don’t live far from New Orleans and after Katrina ALL hell broke loose. Now we are always expecting a power outage here in the south, but 21 days without it is miserable, People! The heat index inside my house was around 95 degrees and what seemed like a 1000% humidity. My very asthmatic daughter was sent to Colorado with some neighboors who left. No communication either . Thank God for them or she may have died. Keeping our generator going just to keep our freezer frozen and small window unit on at nite was a monster of a chore. It required constant waits at long gas lines. I witnessed fights in lines at stores and at stations, military police everywhere, helicopters overhead, a thugs from Orleans Parish infiltrating our neighborhoods. It was the most chilling experience I have ever had. I pray we never have another “Katrina, ” but it’s always possible. Prepare or prepare to be miserable.